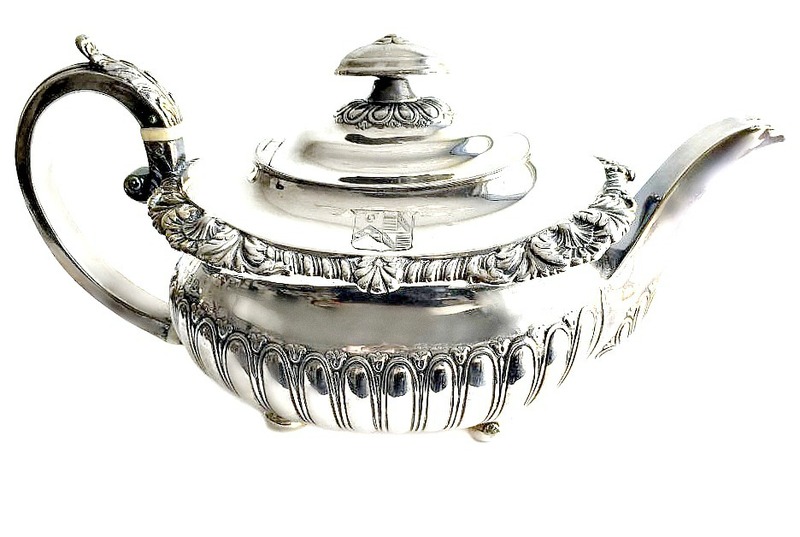 Exceptional fine and impressive Antique George III English Sterling Silver Teapot, made by Rebecca Emes and Edwin Barnard I, of London, England, celebrated silversmiths of the time. The business began in 1808, the date letter on this beautiful pot dates it to 1814. 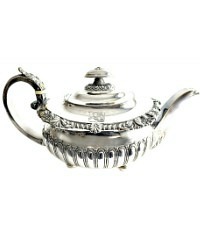 What an exquisite Georgian teapot to add to your sterling silver collection. 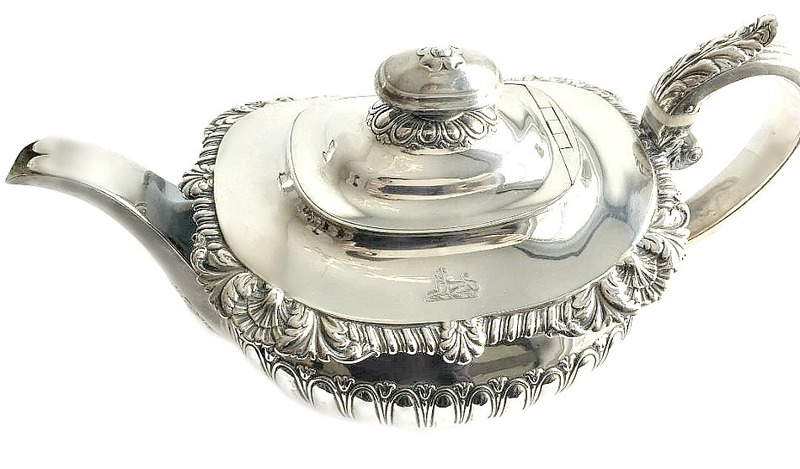 With superb embossed and engraved decoration, the pot is fitted with a plain domed flush hinged cover which retains the original sterling silver rounded rectangular finial, the flush hinge indicates the luxury quality. 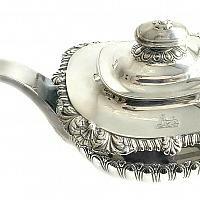 The oval rounded design of the body of the pot is fluted, the pot has four ball feet. The top of the pot has the Lion Couchant on one side, and a family armorial crest on the other. Note the impressive flat topped swan neck spout with a lobed pouring hole to the lip. Fully hallmarked. In wonderful condition, this pot is over 200 years old! Measures 11-1/4" x 5-1/2" x 5-3/4"h.